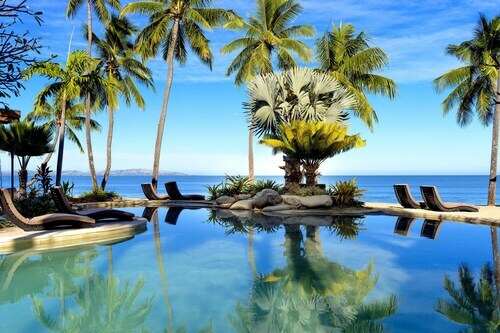 Expedia's Nadi holiday packages help you save! Combining your bookings will give you more cash to splurge for your amazing holiday. Earn savings of up to $200* when you book a package deal on Expedia. With more than 400 partner airlines and 321 000 properties worldwide for you to choose from on our international database, you'll be jetting off on your next holiday in no time! Almost all reservations can be changed with no added fees from us. It can be enjoyable to just amble around the streets in a new place, but sometimes it's a wise idea to make a plan. 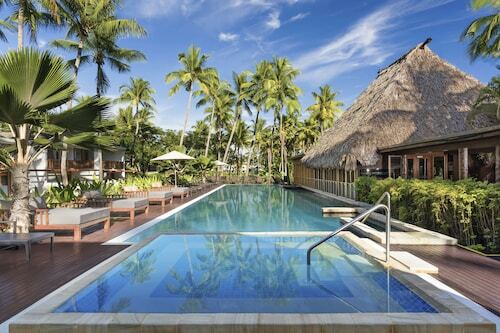 Grab your travel itinerary — we have lots of wonderful ideas for your forthcoming Nadi holiday. Temples have long lured pilgrims seeking spiritual enlightenment in a complex world. Visit the hallowed site of Sri Siva Subramaniya Temple and have your own mystical experience. There's a wonderful range of things to do in this destination. Are you in the mood for a postcard-worthy evening at the seaside? Bring a camping chair and find the best spot to drink in a stunning ocean sunset at Wailoaloa Beach. Still got time on your hands? Built to pay homage to one or many gods, temples offer visitors a fascinating look into another religion and culture. Learn about the local faith as you step into the spiritual monument that is Sri Siva Subramaniya Swami Temple. Lying on a beach doing not much at all sure is nice, but there's nothing like jumping into amazing new experiences on your getaway! Check out the Nadi things to do page for a comprehensive list. 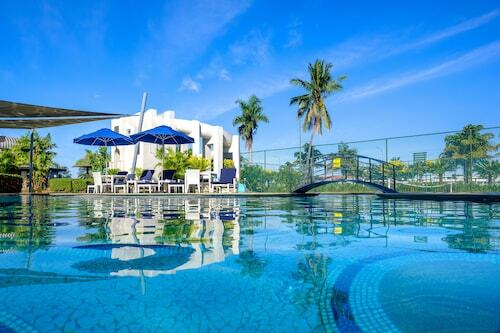 Expect a large variety of accommodations when you jet off to Nadi. With no less than 41 properties on offer, it won't be an issue booking a nice place to stay for your cheap holiday or luxury getaway. If you're someone that can't fall asleep unless they have high thread count sheets, why not snuggle down in luxury at the Naisoso Island Resort Villas (Naisoso Island) or the Sheraton Denarau Villas (Denarau Island West)? Searching for something more affordable? The Stoney Creek Resort - Hostel (Sabeto) and the Capricorn International Hotel (Queens Road) are a couple of places that won't put a dent in your bank balance. Nadi International Airport (NAN) is the gateway for most travellers heading on a trip to Nadi. It's situated 4 miles (6 km) from the centre of town. 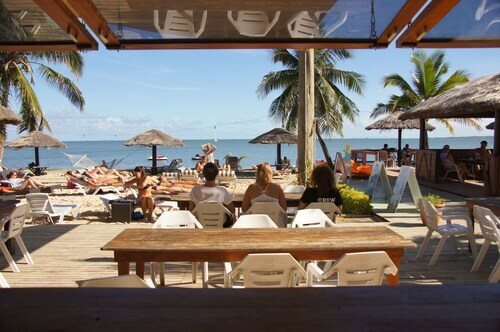 Once the site of a mangrove swamp, this gorgeous marina is now a hub for shopping and dining as well as a point of departure for Fiji’s famous Mamanuca and Yasawa islands. This impressive Hindu Temple, the largest of its kind in the Southern Hemisphere, is dedicated to the god of the seasonal rains. 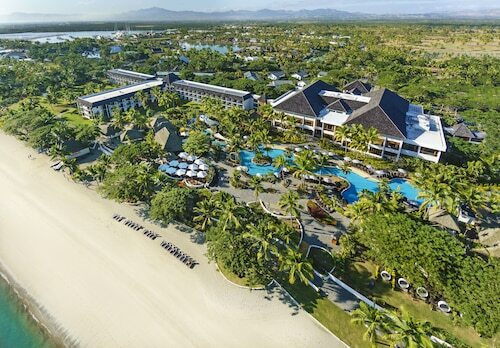 Nestled on the beach, this Nadi resort is within a 10-minute walk of Denarau Golf and Racquet Club and Denarau Beach. Port Denarau and Port Denarau Marina are also within 1 mi (2 km). 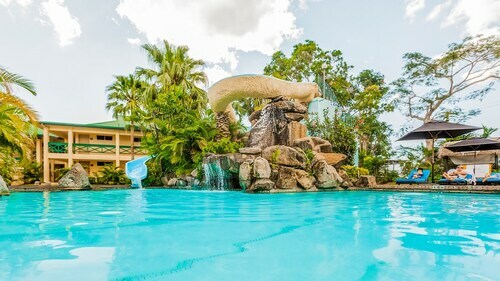 Located near the airport, this family-friendly hotel is within 6 mi (10 km) of Garden of the Sleeping Giant, Sabeto Hot Springs and Mud Pool, and Sri Siva Subramaniya Temple. Denarau Golf and Racquet Club is 8.7 mi (14 km) away. Located in Wailoloa, this beachfront resort is next to a golf course, 1.2 mi (1.9 km) from Wailoaloa Beach, and within 6 mi (10 km) of Namaka Market and Sri Siva Subramaniya Temple. Port Denarau and Port Denarau Marina are also within 9 mi (15 km).